We are the premier early childhood music program with over 20 years of singing & dancing with Du Page County families. Not only are our teachers professional musicians & performers but all are trained early childhood music educators with over 35 years of combined experience teaching the very young. Our teachers create a fun, informal, social setting that spurs engagement supports each child's musical development. Music Together began as an educational project of the Center for Music and Young Children, founded in 1985. All our faculty members are registered to teach Music Together, by the CMYC early childhood music-training program and receive ongoing training, supervision, and peer support. 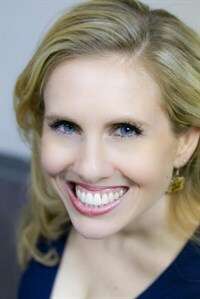 Lisa Griffith, Mezzo-Soprano, is an active performer and voice teacher. Ms. Griffith is on the faculty of the Music Institute of Chicago and has voice studios in Elmhurst and Oak Brook. She received her Bachelors degree from Knox College in Galesburg, Illinois and a Masters degree in Opera Performance from Northwestern University. Ms. Griffith has performed around the country and been and apprentice with both Santa Fe Opera and Glimmerglass Opera. She received Certification II. from the Center for Music and Young Children in Princeton, NJ. She has served as President of the Chicago Chapter of the National Associations of Teachers of Singing. Ms. Griffith is a national Music Together Song and Skills Workshop Leader for the Center for Music and Young Children. She has been musical director for many shows with the Elmhurst Children's Theatre. Lisa and her husband Andrew have two children, Cade and Zach. Brenna Boncosky- Originally from the Chicago area, Brenna received her Bachelor of Music in Vocal Performance from the University of Mississippi and her Master of Music in Vocal Performance from the New England Conservatory of Music. She is also compleated Certification I through Music Together. Brenna has enjoyed a successful career as a voice teacher, performer, and nanny over the last several years. Having just recently returned to Chicago from Southern California, Brenna is thrilled at the prospect of bringing her love and knowledge of music to children and families through teaching Music Together. Brenna has received Certification I. advanced training from Music Together. Miss Katie has been a fun-loving Music Together® teacher and director since 2013. She is also a registered Suzuki violin and piano teacher and specializes in early childhood education. Katie has a bachelor and master's degree in violin performance and pedagogy and enjoys playing viola and piano, as well. In her free time, she enjoys cooking, performing chamber music, and making music with her family. Contact Katie at Katie@mattixmusic.com. 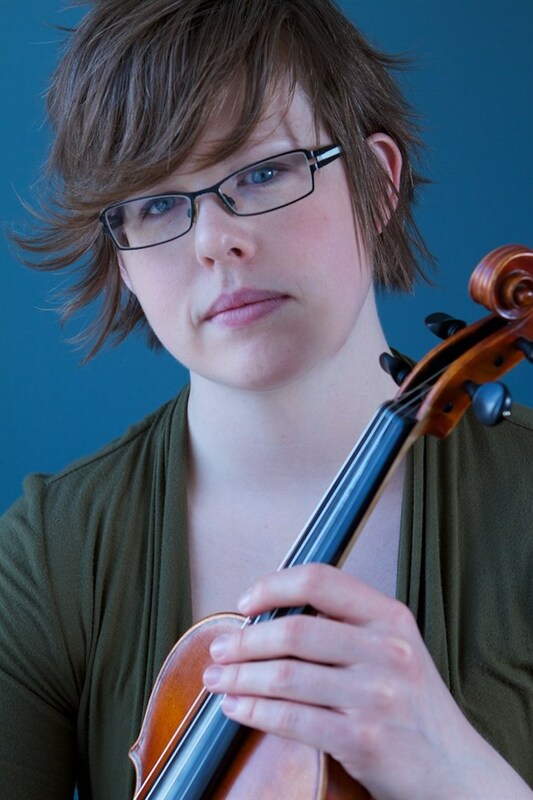 Ashley Fitzwater, violinist, is a performer in the Chicago area, as well as a violin, viola, and piano teacher. She was appointed concertmaster of the Illinois Valley Symphony Orchestra in 2011, and holds a Master’s and a Bachelor’s degree in Violin Performance. Before moving to Illinois, she was a member of the Wichita Symphony and she performed occasionally with the Wichita Grand Opera. She has attended the Aspen Music Festival and School, and the Brevard Music Festival. Throughout her career, she has been an active chamber musician. Ashley enjoys teaching Music Together, and loves being a part of incorporating music into the lives of children and their families. Michelle graduated from Millikin University in 1999 with a Bachelor of Music in Vocal performance and then went on to complete her Master of Music degree in 2001 at DePaul University. She was a member of the Elmhurst Choral Union and a featured soloist and has served on the board of the Elmhurst Childrens Theatre for the past four years. She is a cantor with Mary Queen of Heaven Catholic Church in Elmhurst and runs a private voice studio from her home as well as at Addison Trail High School. She performs seasonally with the Festive Singers caroling group and was last seen on stage with StageDoor Fine Arts in Hinsdale. 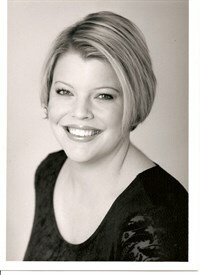 Michelle has performed with Light Opera Works both on stage and as an Assistant Music Director. She has sung with the Chicago City Symphony Opera Orchestra and performed in concerts both in Vienna and Italy. She has also worked behind the scenes as a vocal director for the Oakbrook Academy of Performing Arts and Elmhurst Children’s Theater. She currently lives in the Elmhurst area where she lives with her husband and two children.